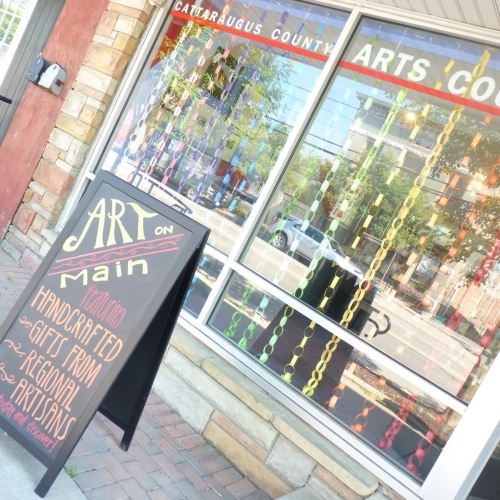 The Cattaraugus County Arts Council is transforming the Southern Tier of New York State into a better place to live through education, service and community outreach. Every class they teach, every child who paints, every event they promote, every artist they support, every tourist they draw, every festival they support is for the purpose of making this beautiful place we live an even better place. An interesting place. A stimulating place. A place where people want to live, and work, and raise families. To keep up to date on all CCAC news, sign up for their email alerts--biweekly alerts full of events, opportunities, and the latest from CCAC! Sign up online or send an email to info [at] myartscouncil [dot] net. Stop in and wander through the gallery and purchase a "work" by a local artist.